Stop 8 is an onsen drinking fountain. Grab a ladle and take a sip of Kamiyamada’s hot spring mineral water. The onsen water has a strong sulfur content, yet is slightly alkali with a pH of around 8.6, which gives a silky smooth feel to your skin when you bathe in it. While the sulfur smell may offend your nose, the minerals will do wonders for your body, so go ahead, try drinking it. The small building that the drinking fountain is attached to houses an onsen well. 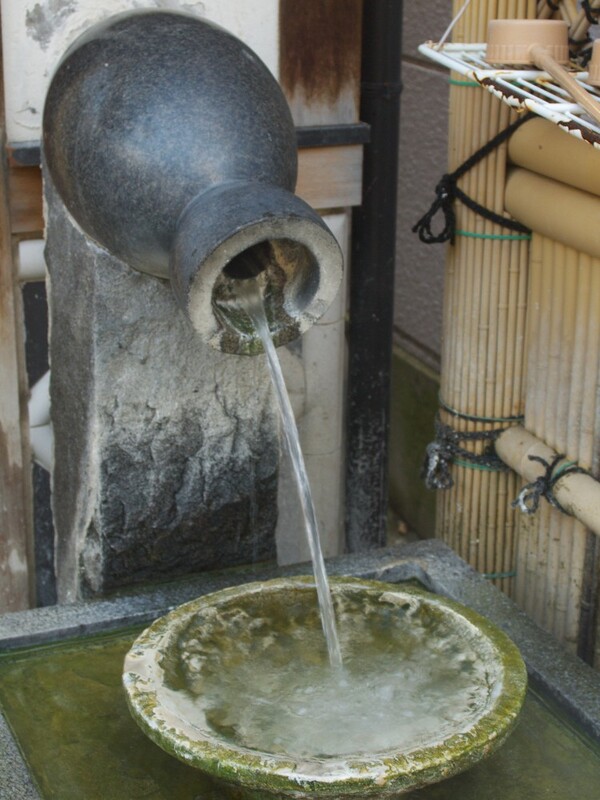 This is one of the 14 wells owned by the Kamiyamada Onsen Company. The wells on average are around 400 meters deep, and the onsen water comes up to within 200 meters of the surface. From there, it is pumped up before being distributed to the various inns and hotels in the onsen town. Each well is a different temperature, and the onsen company increases the flow from the hotter wells in the winter, and the cooler ones in the summer, so that the water is sent to the onsen baths at a constant 47 degrees all year-round. On the north side of the building is a window through which you can take a peek and see the well’s pump. This well’s temperature is around 53 degrees Celsius.